Black Friday has become another holiday in our culture. So much so, that stores and shops have begun opening their doors on Thanksgiving evening for the crowds of eager shoppers chomping at the bit to make purchases at incredible savings. Depending on the gifts and items you’re hoping to purchase, you may very well receive great deals well worth spending your money on. However, not all flashy price tags are as good as they seem, in fact, some are there merely to grab your attention and entice you to spend more. That being said, how do you tell the great deals from the ones not worth your time? Before venturing out for your Black Friday shopping spree, take a look at these eight things you shouldn’t buy on Black Friday. You may already know to steer clear of purchasing airline tickets or holiday packages before and after Christmas and Thanksgiving. However, you should avoid planning a vacation or booking your flight during Black Friday as well. While it might seem like a good idea to book vacations and airline tickets for spring in advance, Black Friday isn’t the time to do it. Prices for travel begin to rise come September in preparation for everyone’s holiday travels and don’t generally decline before January. Wait until after the holidays to make purchases towards travel plans when the holiday rush is over and spring break is still in the distance. If you’re going into Black Friday hoping to come away with a new sofa, kitchen table, or summer patio furniture, you may want to think again. Most stores put furniture on discount during July and August, as they work to get rid of last season’s items. Come November, most deals worth taking advantage of have already passed. Outdoor items and patio furniture tend to follow a similar pattern, as end of summer sales have already been underway and ended. It’s best to wait on these items and focus on other household goods like appliances during Black Friday. Black Friday does in fact play host to a multitude of clothing sales, however, if a winter coat, sweaters, or hats and scarves are on your list, now is not the prime time to receive them at great discounts. Considering the fact that winter is just now approaching during this time, most stores don’t put them at half-price yet. Wait until after January or March, when winter clothing and gear tend to hit their best sales. This may not be on the top of your Black Friday shopping list, but that doesn’t mean stores won’t try to entice you anyway. Some stores like Target offer money off your purchase if you spend so much. While it may seem like a good deal, now is not the time to find holiday decorations at their best price. This is especially true when you consider the fact that Christmas still has yet to pass. Generally, the best time to purchase holiday décor is after the holidays. Wait until the first of the year to find any new decorations for next fall and Christmas if you’re really looking to save. Companies like Godiva and 1-800-Flowers usually offer sales during Black Friday, however, apart from those sales, you’ll be hard-pressed to find too many great deals on flowers and chocolate. Unfortunately, since these items are perishable, they won’t be able to make it all the way through the holidays. If you’re hoping to use these as stocking stuffers or holiday treats, wait a little longer, you’ll likely find better deals on both of these items closer to Christmas. 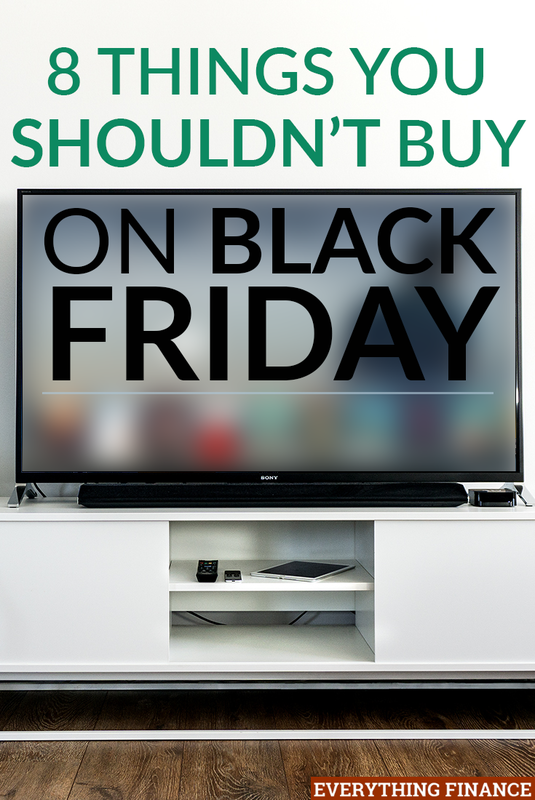 Many people consider Black Friday the optimal time to purchase TVs and other electronics. In some ways this is true, however, it depends what you’re in the market for. Lower-tier brand names and older-generation TV sets will likely have deep discounts. However, if you’re looking to purchase a high-quality smart TV, Black Friday isn’t the time to make this purchase; this is especially true if you’re hoping to score an LED or OLED TV. Check back after the first of the year or into spring. You might find better deals by searching for the best OLED TVs for sale online then. November may offer a few deals on exercise equipment, but you’ll be hard-pressed to find anything much better than 15% off. December tends to have the best quantity of equipment and the best quality, all for a much better price than you’ll find during Black Friday. Keep shopping around and look into fitness gear come December, or around the New Year, when everyone is trying to stick to their fitness goals. If gift cards are on your shopping list, think twice before purchasing them during Black Friday. Retailers are already cutting prices and offering deep discounts, hence why they’re unlikely to offer deals on gift cards as well. Retailers offer the best deals and discounts during December when they know people are in a hurry to get their shopping done. Wait until closer to Christmas to find some of your favorite gift cards for a fraction of the price. The goal of Black Friday is to get great gifts and items at a great price, but not all items are at their best price in November. If you can wait, everything goes through a sale period throughout the year. Of course, if you’re really trying to save, avoiding these items isn’t the only thing you should remember. Many retailers place an array of items at small discounts or place things in convenient locations to entice you. Unfortunately, when you’re already in shopping mode, it’s easy to overdo it and purchase items you don’t really need. The key to shopping smart on Black Friday is to go in with a plan and only purchase what you absolutely need. By doing so, you’ll receive great discounts and truly save money on your holiday purchases. Are there other items you avoid buying during Black Friday?